With about six and a half left in Tuesday night’s game, White Plains seemed to be moving in position to claim a second big-name county basketball scalp in a four-day stretch. 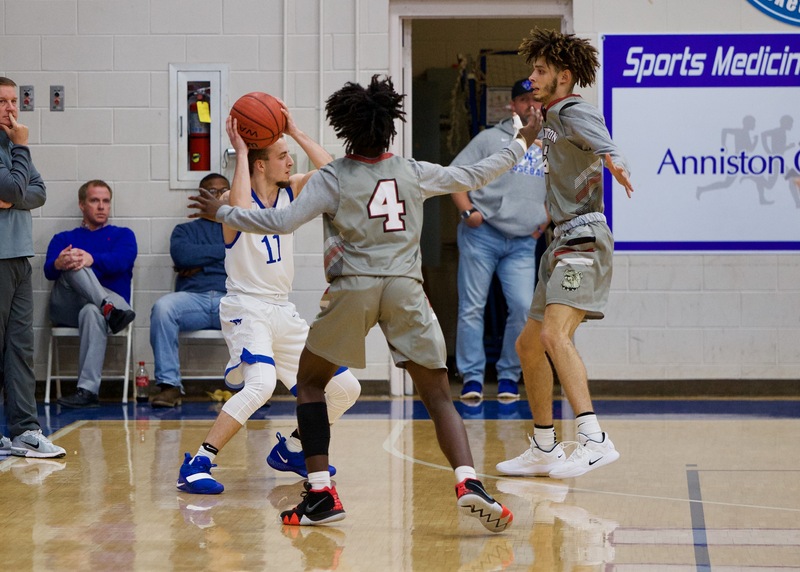 The Wildcats, who stunned Oxford on Friday night, trailed Anniston by three in a game they led early and kept close throughout. With one final push they might have been able to pull off the double. But then the Bulldogs spread the floor. They pinned their hopes to the tail of their Kite and let it fly. Behind freshman Antonio (Spoodie) Kite, the next county’s best player of the next four years, the Bulldogs pulled away to score a 70-58 victory. The idea of spreading the floor wasn’t to milk the clock, but to give Kite and William Fairley more room to work. Both players found openings on the floor for layups, scoring 13 of the Bulldogs’ last 17 points. “We came out in our zone and they ate it up,” Bulldogs coach Torry Brown said. “Our inside game wasn’t really working the way it normally is against most teams; they did a really good job digging it out of there. It was a 55-52 when it really kicked in. Kite created a 3-pointer for Kwame Milton, Fairley created a couple and-one layups and Kite went hard to the basket. And just that fast the lead moved to 13. That’s the way Spoodie can influence a game. It should be a real treat Saturday night when the Bulldogs play Sacred Heart with its high-star junior guard Jayden Stone. “When they stretched it I felt like the best player in the game was Kite,” White Plains coach Chris Randall said. “When we didn’t help he laid it up, when we helped they made a 3. Kite finished with 16 points and six assists. Fairley tacked on 15 points, `12 in the second half. Milton led all scorers with 21 points, starting out with four 3-pointers before attacking the basket in the second half. Brody Baker and Simeon Shadrix led White Plains with 16 and 15, respectively, but both were shut out in the fourth quarter. Shadrix hit three 3-pointers in the first quarter, sparking the Wildcats to an early 17-9 lead. 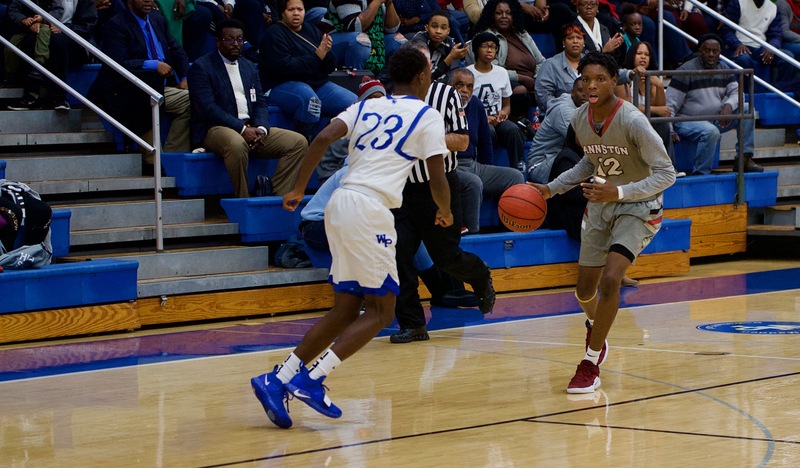 ANNISTON – Antonio Kite 5 5-5 16, Ladreka Hall 4 0-0 8, Kwame Milton 8 0-0 21, Malcolm Harvey 2 0-2 4, William Fairley 6 1-1 15, Hunter Rouse 1 2-3 4, Theron Montgomery 0 2-2 2, Jordan Ferrell 0 0-0 0. Totals 26 10-11 70. WHITE PLAINS – Houston Conger 0 0-1 0, Quin Wilson 1 0-0 2, Jaden Chatman 1 4-6 6, Simeon Shadrix 6 0-0 15, Jacob Wheeler 0 0-0 0, Brody Baker 7 0-0 16, Matthew Clay 3 4-4 10, Jaden Harris 1 0-0 2, Kahlil Williams 0 2-2 2, Gavin Burrage 2 1-2 5. Totals 21 11-15 58. 3-point goals: Anniston 8 (Kite, Milton 5, Fairley 2); White Plains 5 (Shadrix 3, Baker 2). Fouled out: Harvey, Fairley. Total fouls: Anniston 20, White Plains 18. Officials: Burroughs, Howell, Kelley.